I have always said stitching is "therapeutic" for the soul! I can be having one of the most hectic days, but my stitching always brings me peace....unless I have to tear out a mistake:( Love the looks of "Frances Pool", itching to get my fingers going on this one! Thanks for the beautiful post Brenda and sharing such fond memories. Stitching not only brings memories to mind but now, when I look at pieces I've stitched, I'm reminded of what was going on in my life at the time. I can tell that Frances is going to be another must have for me. I really love the colors! I just got Ann Sandles back from the framer and posted her on my blog. I will be ready to tackle Frances whenever you are ready to release her. Can't wait! My mind always wanders while I'm stitching and I do some of my best thinking then. 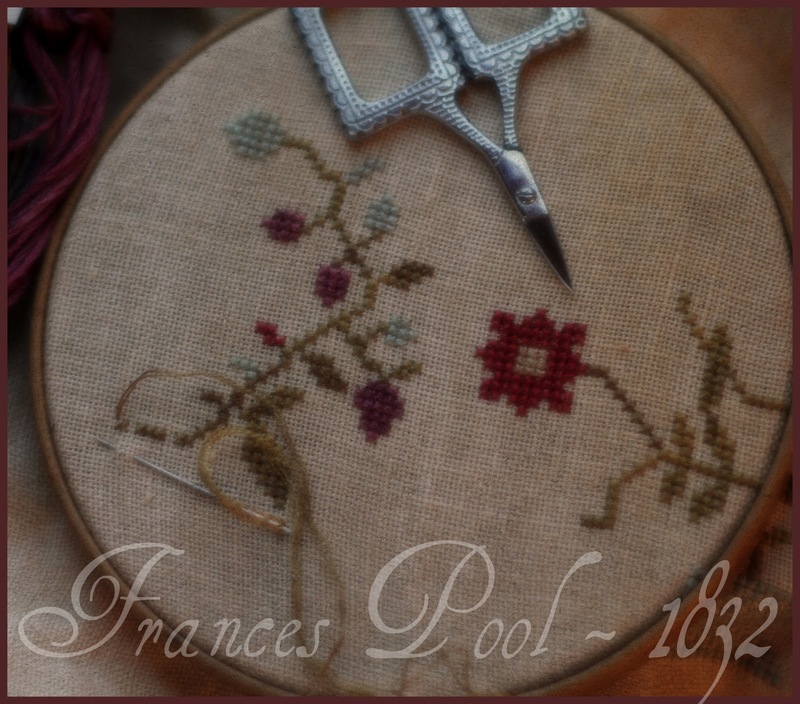 For seven years I was a single parent and my stitching was my stress therapy. I would often ponder how to handle a situation with the boys while I stitched. When I look at some of my finishes it evokes a lot of memories most of which were good ones! Such sweet, wonderful memories. I love how our minds take us back like that when we are quiet enough to sit and listen.